When Esso Oil decided to change its name, it reportedly spent over $100 million coming up with its new name: Exxon. For $50 million, I could have come up with that name and saved them half. The point is, while you’re not likely to spend $100 million, naming your new business is a very important decision. In addition to the right name, there are a few legal requirements for naming an LLC to keep in mind. This part is simple. There cannot be two similar LLC names in the same state. The easiest way to determine if the name you want to use is taken, do a search on state’s Secretary of State page for business records. To look up information in each state do an LLC name search to see if there are any other businesses that have registered the same name as yours. This criterion is somewhat more subjective than above, but basically, revolve around trademark infringement and being distinguishable in the state you are forming the LLC. What does “confusingly similar” mean, exactly? It means whatever the particular judge or jury says it does, usually, after you’ve been sued for trademark/tradename dilution, unfair competition, and a lot of other scary-legal sounding things. Check uspto.gov and do a patent and trademark search to see that you aren’t infringing on any rights with your business name. Suppose you are not yet ready to file your Articles of Organization but have the perfect name picked out and don’t want to lose it. Fortunately for you, each state has its own procedures for reserving an LLC name. 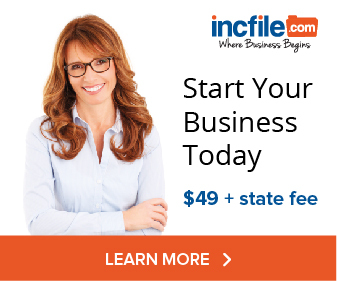 It consists of filing a form along with a filing fee (the amount of the fee varies by state). The length of time you can reserve a name for varies state by state. When you do a business name search, you may come across a name that is registered but has an inactive or not in good standing result. An entity that isn’t in good standing may be available to register if it has been inactive for a certain length of time, which will vary by state. If you want some help reserving your LLC name services like Swyft Filings offer entity name reservation as well. 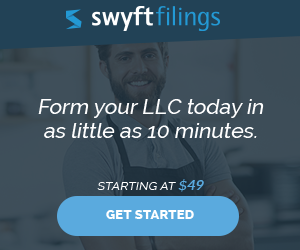 After purchasing the name reservation service, Swyft Filings will remind you when you must fully form your LLC before the name reservation expires. Now with a perfect business name picked out, you may want to consider getting a domain name (URL) if you can find one that matches it. With a website all but required have your business noticed, you may also want to be sure the URL is available. It’s far easier to get an LLC business name than a domain name with a .com so if you find it, I would consider getting it now rather than later. Even if you don’t plan on putting a website up right away, you can secure a domain name for less than $10 a year and prevent someone else from acquiring it, until you are ready to build a website.